Why the recruitment, screening and sampling process needs to work harder in market research to understand the needs, behaviours, priorities, and attitudes in CCGs. The NHS reforms introduced in 2013 were the most radical shake-up of the health service since it was established in 1948. A central part of the reforms was to give budgetary control to primary care general practitioners, grouped together in Clinical Commissioning Groups (CCGs) – these groups now hold 80 per cent of the NHS budget for patient care. The theory was that primary care doctors are closer to patients and are therefore (a) much better placed to direct resources where they are most required and (b) more able to redesign services to better meet patients’ needs. Over a year has elapsed since the new NHS structure became operational on 1 April 2013 and CCGs came into being as statutory bodies. So, more than 12 months down the line, where are we? How have CCGs taken to being in the driving seat of commissioning services and determining how and where NHS money is spent? For example, to what degree do most GPs now feel actively involved in commissioning and how much influence do most GPs have on service design/redesign decision-making? Have the reforms succeeded in effectively engaging most GPs or are most family doctors merely standing on the sidelines looking in? Judging from what you read in the press, you could be forgiven for believing that most grassroots GPs are not actively engaged in the work of their CCGs. For example, in a special report in March 2014, Pulse magazine talked of 56 per cent of GPs feeling they had no say in the commissioning decisions made by their respective CCGs. And more recently, the Nuffield Trust/Kings Fund survey of six CCGs stated that only 12 per cent of GPs who responded to their survey in 2014 felt highly engaged in the work of their CCG compared with 19 per cent in 2013. This perspective is certainly backed up by Adelphi’s extensive direct experience gleaned from our recruitment activities for market research (MR) projects, plus the profiling information which we maintain on our database of NHS contacts. 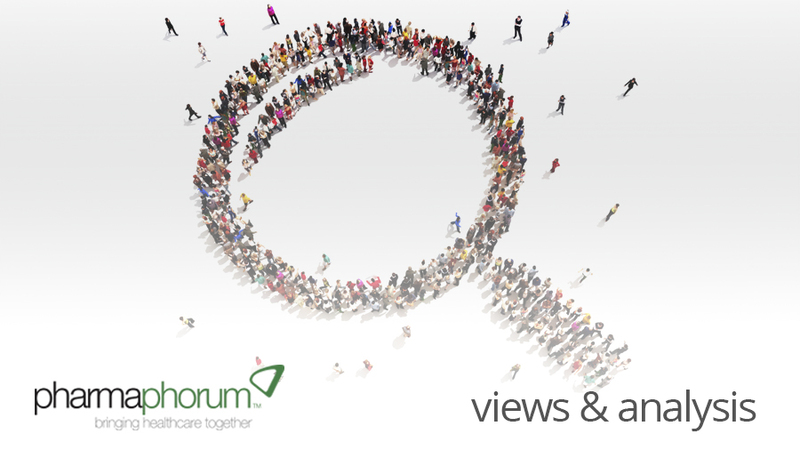 We regularly conduct MR to explore CCG priorities, challenges, needs, behaviours, policies, influences on decision-making etc. For these projects, we typically sample between 30 and 150 respondents dependent on whether it is a qualitative or quantitative study and in accordance with the precise nature of the MR objectives involved. These studies mean speaking to CCG respondents who are well-informed enough to provide reliable comment. Our experience is that some two thirds of GPs are unlikely to be able to provide sufficient depth of insight, whilst there will also be a ‘partially-informed’ tier of respondents as well as a ‘well-informed inner nucleus’. Factoring these realities into research studies with CCGs is therefore vital. Without paying careful consideration to the various tiers of knowledge, we risk generating ill-informed or misleading results from CCGs. A very thoughtfully designed screening process is needed and will play a key role in helping to guide and maximise the recruitment process. This needs to capture essential nuggets of knowledge about each respondent’s history, together with the profile of the respondent’s respective CCG – in the event that this information is not already known or maintained on a database such as Adelphi’s multi-relational database of NHS contacts. Furthermore, the situation is nowhere near as straightforward as the ‘two thirds grassroots CCG non-involvement’ rule-of-thumb first suggests. In reality the situation varies markedly from CCG to CCG. That is why investing in a regularly maintained database of CCG profiles and histories is invaluable in assisting the recruitment process. For example, there are some CCGs which actively involve all their GPs in the CCG’s decisions, so that almost all GPs interviewed will be sufficiently informed. On the other hand, there are other CCGs where few individuals know what is really going on. Putting it bluntly, these CCGs simply pay lip service to GP involvement, and thus very few individuals can provide rich insights on how, for example, the CCG makes a key decision. This is just one example of why an in-depth understanding of the inner workings of different CCGs is critical to maximising recruitment. It also helps to have an in-depth understanding of the composition of each CCG’s governing body and the extent to which GPs are represented when compiling the sample. We know that if we take CCGs as a whole, the proportion of GPs sitting on CCG Governing Bodies is actually considerably less than half – somewhere between 40 and 45 per cent. However, this ‘overall average’ disguises the fact that some CCGs have a much greater GP representation on their governing bodies than others. This weight of GP representation on a CCG’s board has the potential to impact the attitudes, policies and behaviours of that CCG, and may also be another key consideration when designing a representative sample for projects. These are just two brief examples of why the recruitment, screening and sampling process needs to work harder in market research to explore issues relating to CCGs’ needs, behaviours, priorities, attitudes or policies. It isn’t just a case of approaching a GP in the hope that he or she will have an informed view. That approach risks getting it wrong and, as with any MR study, if we interview poorly informed respondents it could have far-reaching implications. So stratifying the samples very carefully for CCG studies is fundamental. Targeting the recruitment is key and designing an intelligent screener is vital. After all, how else can we find out if ‘the most radical shake-up of the NHS since its inception’ has really made a difference? This technique will also allow us to understand which factors are truly influencing key decision-making at the heart of CCGs. Judy Norcross is deputy managing director of Adelphi Research UK and has extensive market research, brand consultancy, communications planning and implementation experience, built in various board-level positions over 24 years. Judy leads on market access and payer research within Adelphi and is a recognised authority in this area. For example, she has previously run the BHBIA training for the industry on conducting MR with payers. She has extensive experience in leading projects with UK payers at Adelphi including several pivotal studies for the DH and ABPI to understand the relationship between industry and the NHS and also the reasons for the variation in the uptake of medicines across England. Have your say: Do you know how CCGs are impacting services in your area?